When every step is painful, and you can’t enjoy strenuous activities without foot agony, it’s time to consider orthotics and custom braces. 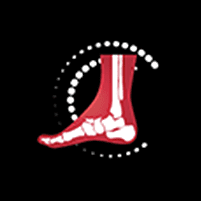 Dr. Dustin Hubbard and Dr. Ralph Dixon at Fairbanks Foot and Ankle precisely analyze your feet and produce customized casts to develop orthotics and braces that precisely fit your feet and meet your needs. They provide all devices for everyone, from babies to retired adults, so call the office in Fairbanks, Alaska or book an appointment online. What are orthotics and custom braces? Orthotics and braces are devices designed to provide support or improve the functioning of your feet. You may be familiar with orthotics at your local pharmacy, such as shoe inserts and toe pads. These products offer some pain relief, but they can’t produce the therapeutic effect of a custom-molded orthotic device or brace. Besides relieving pain, prescription orthotics and braces help reducing swelling, offset pressure, provide stability, and prevent further foot damage. They can also improve balance, correct bone alignment, and improve athletic performance. Your doctor at Fairbanks Foot and Ankle provides on-site casting for customized braces for adults and children, including infants. Which foot conditions are treated with an orthotic or brace? The team at Fairbanks Foot and Ankle analyzes your feet to develop orthotics such as shoe inserts that are the perfect match for your feet and the problem you face. When you need braces, they create a customized cast that’s used to produce the brace. These devices improve foot function by controlling motion and correcting abnormal foot position and function. They also provide stability and correct balance problems that affect your gait. Accommodative orthotics cushion your foot, redistribute body weight, or remove pressure from a painful or injured area. You may need an orthotic that combines functional and accommodative problems, depending on your foot problem. When you have ankle problems, like weakness or chronic instability, your doctor may prescribe an ankle-foot orthotic or foot-drop brace to control the motion and position of your ankle. Ankle-foot braces are like an open boot that goes down the back of your leg and under your foot, then straps around your leg and ankle to secure the brace. Some hold your ankle stationary, while others have a joint that allows some ankle movement. Can you get specialized sports orthotics? Customized orthotics can address problems specific to your sport and the foot problem that interferes with optimal performance. For example, shoe inserts may reduce fatigue, absorb shock, offload impact, and maintain alignment, all of which improve performance. Don’t continue to suffer with foot or ankle pain. Call Fairbanks Foot and Ankle or click to book an appointment online.